Supporting the Friend’s primary goal to connect the community to the University, we are proud to donate $10,000 to U School. On November 14, 2018, Friends President Kate Freeman presented the cheque to Chancellor Douglas R. Stollery. 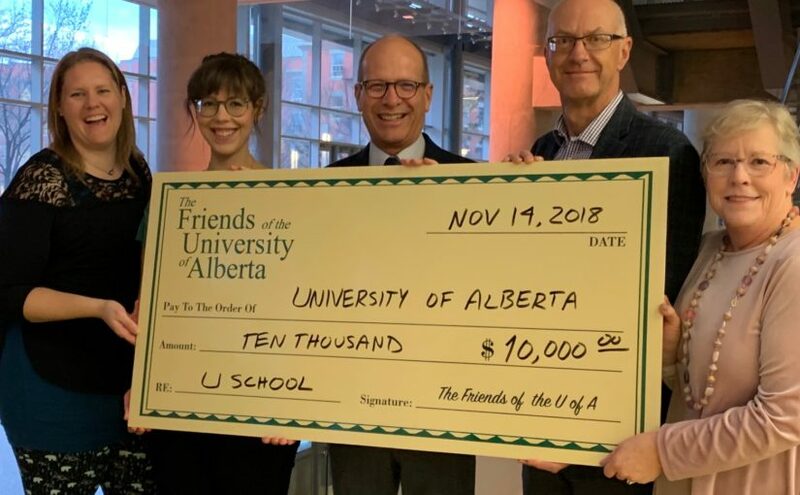 You can read more about the goals of The Friends of the University of Alberta and join the friends. We will not be asking you for money, but if you have some time to donate as a casino volunteer or on the board, you would certainly be welcome!